Langtang Vally | Adam Tours & Travel Pvt. Ltd.
Langtang valley trek, known as “the valley of glaciers”, is one of the popular closest trekking regions from Kathmandu. Langtang valley trekking is a narrow valley which lies between the main Himalayan range to the north, bordering Tibet and a slightly lower range of snowy peaks to the south. A visit to the Langtang region offers an opportunity to explore typical villages, bag small peaks and visit glaciers at a comfortable low elevation. Langtang region is one of the most popular trekking regions for those wishing a short trek from Kathmandu into the Himalayas influenced by Tibetan lifestyle. 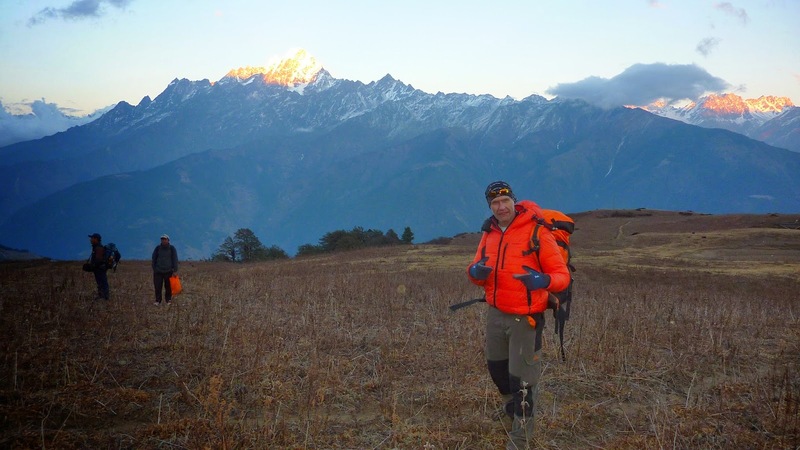 Nepal Langtang valley hiking gives you the opportunity to get right in among the Himalayan peaks and to get off-the-beaten-track, walking through some fascinatingly remote and relatively unpopulated areas. The valley offers with the varieties of rhododendron, bamboo forests, majestic waterfalls, pine forest, swift mountain streams, rugged rock and snow-capped peaks, grassy down and meadows strewn with daises and wild animals make the trek one of the most diverse treks. The journey of Langtang valley trekking trail with the drive from Kathmandu to Syabru Bensi. In the upper part of the Langtang valley there are snow ridges spanning angry torrents, high passes enveloped in mist tiny lakes of crystalline brightness and glaciated mountain giants. Mighty Langtang Lirung (7246m) dominates the valley to the north; Gang Chhenpo (6388m) and the trekking peak of Naya Kangri (5846m) lie in the south; and Dorje Lakpa (6966m) protects the east of the valley. The area was designated Nepal’s first Himalayan national park in 1971. The 1,710 SQ km Langtang National Park hosts a variety of natural splendors, from lush valleys alive with languor monkeys to the towering fir and rhododendron forests bursting with spring color. In this valley besides natural wonders you also visit local Tibetan village and see their lifestyle. The animal found in the forest are red pandas, Himalayan black bears and wild boar and for rare tree orchids and the colorful rhododendrons. Throughout the way Spectacular mountain views of Langtang Lirung, Dorje Lakpa, Mount, Gaurishanker, Mount Ganesh Himal, Langshisa Ri, Gangchenpo, Yala peak and Naya kanga seems to be marvelous. Langtang trekking combines the remote and spectacular valley of Langtang, with the high mountain lakes at Goshaikunda and the beautiful Helambu Valley. Langtang valley trek Nepal passes through an ever-changing climate and offer trekkers an exceptional diversity of scenery and culture. Langtang valley expedition area is inhabited by Tamang whose religious practices, language and unique dress are worth enjoying. According to a legend, a lama following a runaway yak discovered the valley, hence the name -Lang (Tibetan name for YAK), Tang (more currently “Dhang” means to follow). A variety of sights including Buddhist monasteries, a cheese factory, and yaks make this trek an exciting one. There are good opportunities for moderate climbing excursions here so allow some extra days for exploration of the extensive glacier system in beautiful Langtang valley. On the way view spectacular scenery with breathtaking landscapes…this trek is something to remember for some time to come!!!! Today after breakfast we hike back to Syabru Bensi. The trail is mostly downhill through the lush green vegetation with enjoying fascinating view of Mountains and green hills. We can walk along the rising and falling path leading to the village which provides us the opportunity to get a closer look at customs and culture of Tamang ethnic group. Reach to Syabru for the over night stay. We will drive back to Kathmandu through the road passing terraces, streams, rivers, local settlements, high hills and along the Trishuli river side. It takes about 7 to 8 hours (conditional) to reach your hotel in Kathmandu. In evening, join a farewell dinner in Nepali typical Restaurant with the memories of your trekking adventure. Have some time for a leisurely stroll over the streets.